Justin Juliano has opened a business in Ocean City selling products with images of beach tags. 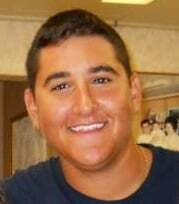 Owner: Justin Juliano, 19, of Ocean City and Havertown, Pa.
Tag-R-Up Designs provides beach tag souvenirs for all of the visitors to Ocean City. This is the 35th season for beach tags, and all of our products focus on the different images on beach tags and also the landmarks in the resort city. So one of our items, a beach towel, has a lifeguard stand with all of the beach tag designs from past years around it. Every design I have includes the entire line of beach tags, from 1976 to 2013. A couple of new things I have are a Christmas ornament with the beach tags on them, and a kitchen apron with the tags. We also have dog leashes, with the tags printed on the nylon strap. The process I use is, first I’ll take photos of the beach tags, which are all ours and we’ve collected. Then I’ll put them on the computer and my brother, Gaetan, will adjust the photo images to what we need. For about a week, we’ll fool around with the design and what we want it to look like. Once it’s complete, we’ll have a family vote on it, to see if it’s a good idea, not so hot, or not a good idea. There are six votes, with the other four my mom, dad and my two other brothers. Mom ends up always having the final say. We also have garden flags for display outside. We have doormats with all of the beach tags on the bottom, with a wave that washes up on it and the name “Ocean City” in the sand with the water. There are also dish towels, tote bags, water bottles, lanyards and cosmetic bags. We also have a decorative wooden surfboard. The most interesting tag probably is 1978, which was shaped like a heart. Sometimes along the numbers of the beach tag they’ll mix in a letter and people have no idea what it means. Entry: After I had made my collection of beach tags, I was talking about them with my mom on the beach, thinking about what we could do with them. The business was born with the beach towel idea. That was the first thing we did. The future: Around Christmas time, I’m planning on making wine bags.